There are few parts of the wedding day that can be a bit more emotional that others. One of those is the mother son dance. I think I get as many tears during this dance as I do when the father gives away his daughter at the begining of the ceremony. 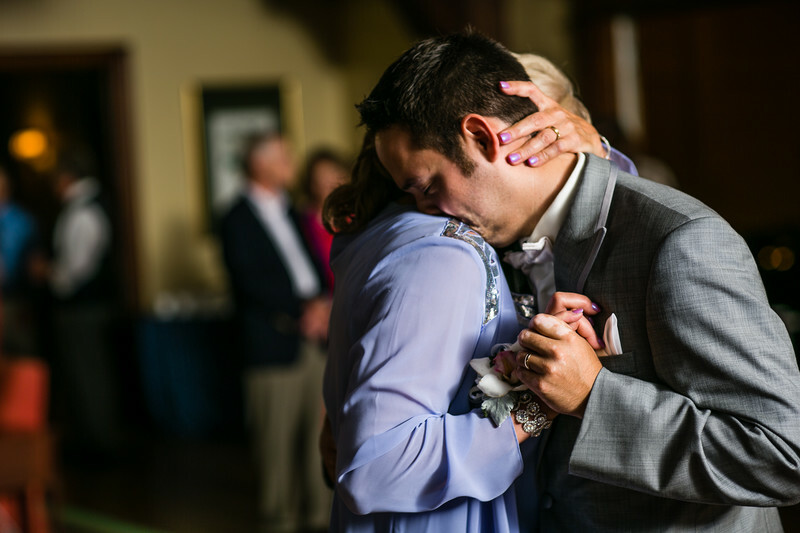 For this particular photograph the groom buried his face into his mom's shoulder and she put her hand up to comfort him. The dance was held at the North Shore Country Club on the northern tip of Lake Winnebago. This venue has a wonderfully warm dance floor. I captured this image with my Canon 5D Mark III and EF 85mm f/1.2L lens. 1/50; f/2.5; ISO 100; 85.0 mm.